After a sputtering relaunch in 2014, I finally achieved a bit of a groove in 2015. The decision to publish weekly is just the right pace for me, and in reality, I would stockpile entries for weeks at a time, then dole them out one by one. This method allowed me large chunks of time to enjoy listening to music for the joy of it instead of trying to find content for this site. In this way, new entries would show up on the site at regular intervals, even if my work on them happened in spurts. Well, I’ve run out of entries. I’ve been taking some music classes, studying Japanese on my own and even did a bit of travelling this past fall, which squeezed out time to write. Rather than scramble to fill January, I’m going to let the site go a bit barren for the rest of the month. New weekly entries will resume in February. First announced for a release in September 2015, then October, this posthumous symphony finally arrives. I bet the hold up was coordinating with the vinyl release of Górecki’s Symphony No. 3. Part of me is always skeptical about solo projects, but the two tracks previewed by Superball Music on YouTube has me optimistic about this album. Does anyone else get the sense that the anticipation for this album has been a bit tepid? Her label doesn’t seem to be pouring much effort in getting the word out. I hope the creative momentum Royal Wood started with The Burning Bright continues with this next release. I still can’t figure out if I like Vulnicura Strings over Vulnicura. 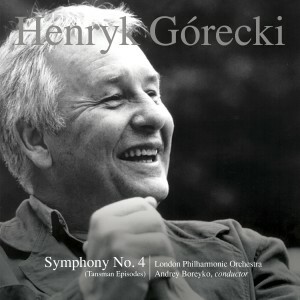 In anticipation of this release, I listened to Górecki’s previous symphonies. The Third definitely deserves its chart-topping status, but the symphonies leading up to it are far more demanding. I actually found a used copy of this album on vinyl selling for a not-exorbitant price, but if I didn’t, I would be picking it up. This release is regular black vinyl. I do see the Record Store Day orange vinyl pressing about town, though. My brother’s Amazon Japan gift certificate arrives just in time.